With the runaway success of Christopher Nolan’s The Dark Knight Rises, millions of people were unwittingly exposed to a long standing and particularly relevant philosophical principal; that of the absurd hero. Statistically speaking, if you’ve probably seen The Dark Knight Rises about three to four times at this point. I’m going to go ahead and assume, then, that what little plot spoiling there is to be done will be, for the most part, negligible. At one point during the film, Bane confronts the physically broken Bruce Wayne in the depths of a prison before he initiates his master plan to destroy Gotham City from the inside. As ALL great villains inevitably do, Bane begins to monologue about how he intends to punish Wayne, as well as the people of Gotham, by leading them to believe that they still have a chance of survival. In other words, allowing them to retain the hope of salvation and watch as their hope is crushed and replaced with despair. This is indeed no new principal, and in fact goes back to the mythic lore of ancient Greece. Gather ‘round, my children, and listen well to the sorry tale of Old Sisyphus, whom the Gods condemned to a fate worse than death! Through a singular combination of circumstances which I will here omit for the sake of brevity, Sisyphus, the wisest of mortal men, knew that he was close to death and wanted to give his wife a test of love. He told her to throw his unburied corpse into the public square for all to see. As the story goes, his wife did as she was told, and Sisyphus awoke in the underworld and was angered that his wife cared more about following his orders than about his dignity. Curiously, Sisyphus obtained permission from Pluto, lord of the underworld, to travel back to Earth in order to chastise his wife. When Pluto reached Earth, however, his love of the sparkling sea and the clear sky and the shining sun was reawakened within him. Sisyphus stayed on Earth for many years, truly enjoying the beauty that life had to offer, until his audacity angered the Gods and they threw him back into the depths of the underworld, where his eternal punishment awaited him. In the underworld, Sisyphus was condemned to roll a boulder up a mountain and upon reaching the precipice, it would roll back down to the bottom. The whole operation was to be repeated for all eternity with no hope of escape. When we look at Sisyphus’s fate, we no doubt see a tragedy, but it is only a tragedy if Sisyphus believes that he can escape. Sisyphus’s walk back down the mountain to where his rock lay waiting for him was of particular interest to a philosopher named Albert Camus. He believed that when Sisyphus began to walk back down the mountain again, Sisyphus endured his fate without yielding to it. In other words ABIDED it. Does this sound familiar to anyone? Let us now return to Bruce Wayne, broken and scared at the bottom of a pit. Bane was right as he stood over the fallen warrior in that hopeless place; he knew that to give the people of Gotham hope of survival while snatching it away at the last moment like a mirage oasis to a lost man in the desert, would be the perfect, soul-crushing finale to Gotham’s demise. Not only was Bane after Gotham’s physical destruction, he also sought the destruction of its collective heart, mind, and soul. Alas, this is where my carefully constructed comparison breaks down. Bruce Wayne does not give up hope of escape and eventually rebuilds his body as well as his broken psyche. And why is he able to achieve this incredible feat? Because he’s fuckmothering BATMAN, ok? Shut up. Sorry. Anyway, the point I’m trying to make is that hope is, and forever will be, a powerful and dangerous force. Will you embrace your hopeless, absurd fate and abide it, like Sisyphus? Or will you retain your hope until the bitter end, like the people of Gotham? P.S. I’m in need of some more movies to analyze! Does anyone have any titles that they’d like to see me do? Leave a comment! The superhero flick has become a bit of a redundant genre in the past ten years. Since the turn of the century, countless iterations of caped crusader films have hit Hollywood, a great number of which were forgettable CGI-based action thrillers. That is, until director Christopher Nolan (Inception, Memento) got his hands on the Batman franchise. Batman Begins (2005) and The Dark Knight (2008) helped redefine the superhero thriller with highly cerebral themes and a clear layer of subtext. Not to mention, Heath Ledger’s Academy Award winning turn as the Joker in the saga’s second installment has been hailed as one of the best supporting performances in film history. The Dark Knight Rises concludes the trilogy in tremendous form, living up to the prequels with a phenomenal cast, excellent writing, and great direction. The film seems to be more of an ending to the trilogy rather than a stand alone sequel like Dark Knight. The addition of Catwoman (Anne Hathaway) brings a fresh element to the series. Rather than focusing on Batman’s “lone wolf” persona, Nolan chooses to make him a part of a much greater effort against the film’s major antagonist, Bane (Tom Hardy). The script, while not the masterpiece that the second film was, is very strong. Catwoman’s character regrettably feels underdeveloped at times, and I found myself occasionally wondering whether she was there only to add variety or whether her character was actually essential to the development of anyone else. The major conflict of the film is pretty standard, featuring a masked maniac intent on destroying Gotham city, and the many cameo appearances by characters from previous films makes for a complex and intelligent plotline. Nolan’s directorial genius shines through, with well choreographed action sequences and cinematography on par with the first two films. Christian Bale has always seemed like a strange choice for Batman, but he has used his intensive Method style to bring the character of Bruce Wayne full circle. Anne Hathaway brings Catwoman to life more than anyone who has played her previously. The supporting cast features Joseph Gordon Levitt in a little advertised but highly prominent role as a young police detective, and brings back Morgan Freeman and Michael Caine to serve as Bruce Wayne’s faithful associates. Tom Hardy’s Bane is both intimidating and vindictive. The trilogy’s conclusion ties up loose ends nicely. Most characters reach an emotional climax (though, again, Catwoman’s role as far as plot development is concerned seems questionable.) Audiences will enjoy the nod to the comic books, and the addition of some key batman figures adds depth and variety. 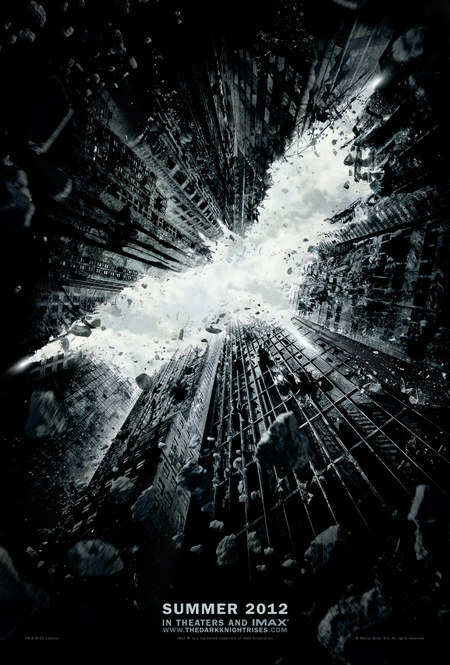 Nolan has done it again: a dark Batman thriller that always has substance below the surface.